NORTHERN VANCOUVER ISLAND, B.C. – Don’t expect the snow to ease up anytime soon in the Comox Valley and Campbell River. According to Environment Canada, snow will continue today as a low develops off Vancouver Island. 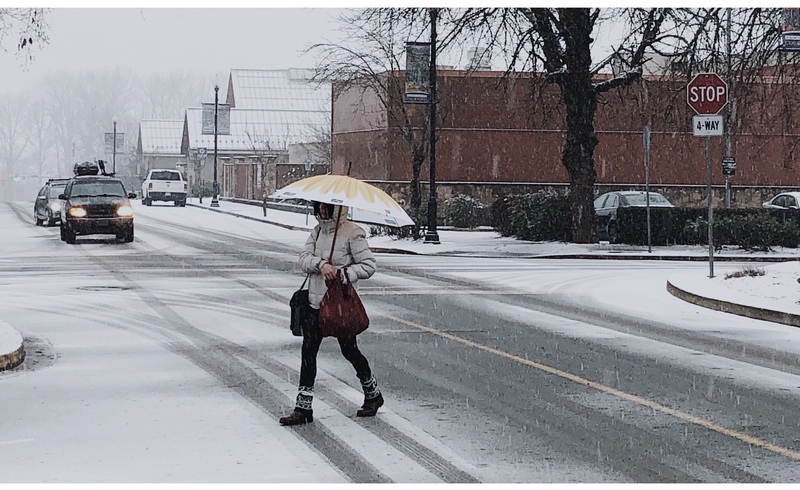 Accumulations will vary considerably across the south coast but generally the areas from Courtenay to Campbell River and along the Sunshine Coast – Saltery Bay to Powell River are forecast to receive total snowfall accumulations of five to 10 centimetres by the time the snow ends overnight. 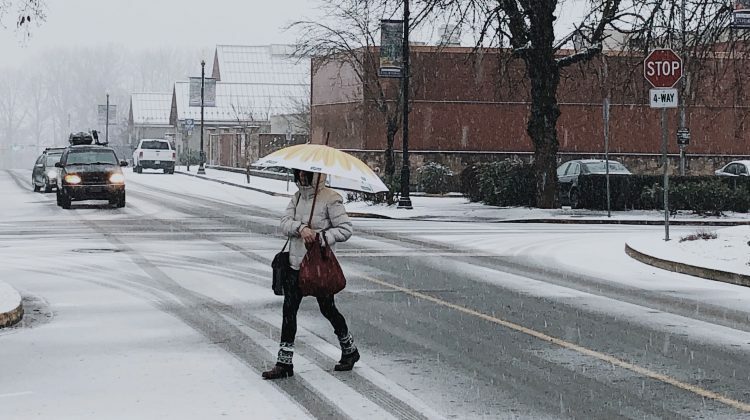 Environment Canada meteorologist Armel Castellan said as of 10:30 a.m., two centimetres of snow was on the ground at the Comox Valley Airport with more of the white stuff to fall as the day progresses. “What we’re looking at here is a fairly complex scenario, as we often get when it’s snow related on the island,” Castellan said. And while there are snowfall warnings in place for areas south of Fanny Bay, the Comox Valley and Campbell River will still be affected. “It’s cold enough to have this deepening trough create the precipitation now, and it is hovering around zero, so some locations closer to the water are probably seeing accumulations quite a bit slower than up towards the highway, or locations like Cumberland that are a little bit deeper in the mountains,” Castellan said. The other wildcard is ‘ocean affect’ snow, a.k.a. snow squalls. These snow squalls are expected to come and go intermittently, he added. There has been a slight change to the forecast, with the largest accumulations expected to fall between 2:00 and 5:00 p.m.
As the evening progresses, the snow squalls are expected to taper off. The system will then migrate stateside, hitting Washington and Oregon. Looking past today, chilly weather is entrenched across the North Island into the third week of February, at least.